Are you looking to upgrade your old rigid endoscopes but hesitant to proceed because you feel you will be wasting money? Save your money from endoscopy cost. Though you may no longer require your older equipment, most of it is still quite useful to other professionals and rather than just getting rid of it you may want to find a place you can sell endoscopes to. Fortunately, you have found just such a place. 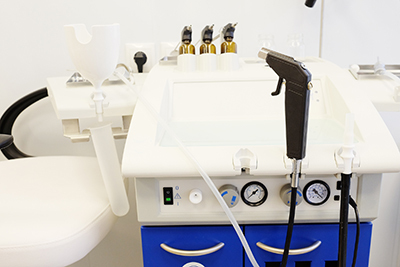 At Advanced Endoscopy, we believe that working equipment should never be carelessly abandoned. This is why we work with new, used, and refurbished equipment to ensure that everyone is able to find whatever they need, no matter their budget. Keeping that in mind, we are happy to buy endoscopes from practices that have outgrown their current technology and need to expand further. This makes us a popular destination for users to sell endoscopes to after they decide to upgrade. In fact, it is common for people to start using us as their go-to destination for these transactions. In this way, they purchase a newer model and sell their old model all at the same place. Do you have a rigid endoscope for sale? We’ll be happy to help. Need to sell a flexible one instead? No worries! No matter what type of device you are looking to sell, we would be happy to help you with it. Keep in mind, there are a wide number of specialists who rely on endoscopes to get their jobs done right and we are proud to work with all variety of those specialists to provide for their needs. 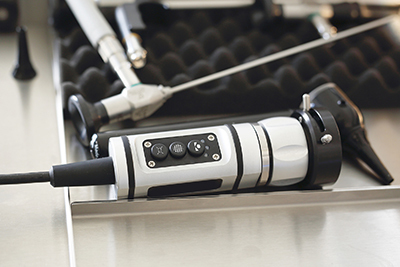 This includes those common viewing, rigid endoscopes as well as those more expensive flexible models. Think that your old fiber scope is no longer useful? Think again! Many professionals still rely on these fiber scopes to provide for their viewing needs. Though they might be older, they are still quite relevant and useful to many professionals today. One of the factors that really set us apart here at Advanced Endoscopy is that we always work to provide competitive prices when we buy, sell, or repair. As such, we won’t try to undercut you on a buyback price. Instead, you will find that you can sell us endoscopes and actually get what the items are worth. We’re not in business just to get a quick deal. Rather, we hope to create a lifelong partnership with you, and through the partnership we offer you both great prices on new models and provide you with fair compensation for your old models. So, when you feel it is time to update your endoscope, don’t just let the old one rot away. Instead work with a provider that will let you sell endoscopes back to them. Advanced Endoscopy is just such a company and we pride ourselves in providing both friendly and courteous service while also offering some of the best deals around. Once you’re ready to move forward, go ahead and give us a call directly. We look forward to meeting your office’s needs.